Shah Rukh Khan and his younger son AbRam cannot get enough of each other's company, and we cannot get enough of their adorable pictures. 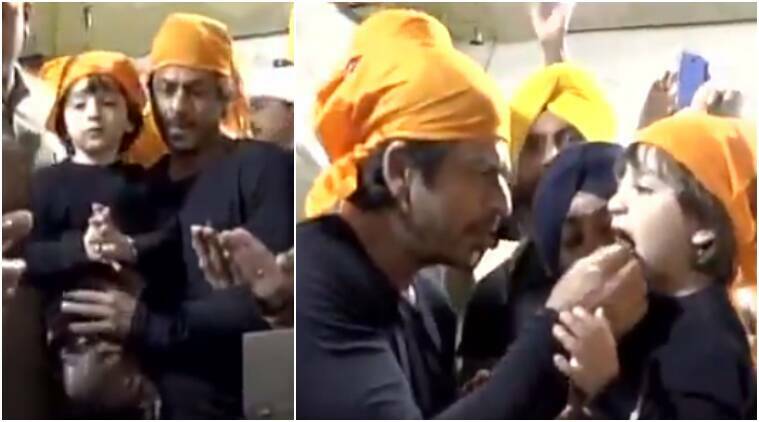 Here are SRK and AbRam as they offered prayers at the Golden Temple. Have you seen these photos of Katrina Kaif, Shah Rukh Khan, Kareena Kapoor? Have you seen these photos of Shah Rukh Khan, Ishaan Khatter and Malaika Arora? 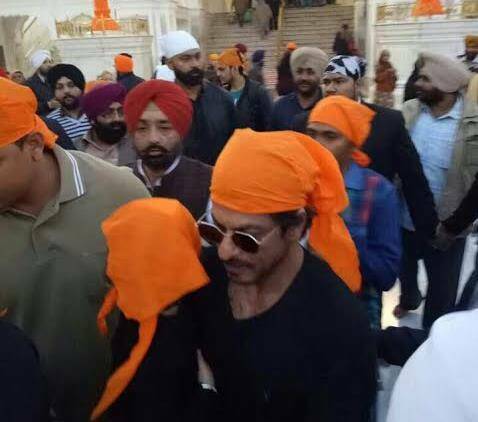 Raaes star Shah Rukh Khan and his son AbRam prayed at the Golden Temple in Amritsar. AbRam is one kid who is much more camera confident than anyone of his age. Be it getting clicked with the Bollywood ladies to striking a pose with his family, AbRam knows how to do it all. Blame it on his father who keeps him for the company for most of his shoots that the little one knows how to impress the world with his cuteness. In a live video shared by ANI, we see Shah Rukh Khan paying obeisance along with AbRam. The cutest moment comes when SRK offers the ‘prasad’ to him and he gestures the superstar to wait before taking it in his mouth. Can we miss the Sikh ‘kada’ in AbRam’s wrist? On the professional front, Shah Rukh Khan’s Raees is doing well. The film has entered the Rs 100-crore club and is looking at increasing its business in the coming week too. Check out the video and ANI’s tweet here. 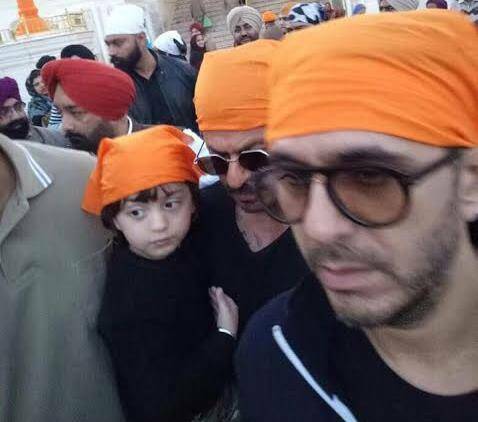 Shah Rukh Khan with AbRam at Golden temple. Shah Rukh Khan with son AbRam and Ritesh Sidhwani. Shah Rukh Khan with son AbRam inside Golden Temple. Just days back, Shah Rukh was doing a live-FB chat with The TVF (The Viral Fever ), when AbRam walked in to say hello to his dad. However, little did he know about the presence of journos and cameras in the room. AbRam’s walking into the room and talking to his father without caring for the presence of others took everyone by surprise, and made the video one of the cutest things you would’ve seen recently.